Transmission of Memory Through the Arts. Susan L. Smith gave a special talk on her late husband Marc’s most recent theatrical work, The Kreisau Project, and the paths opened by this multi-year creative pursuit. The presentation, on June 1, 2011, at The Hanover Theatre for the Performing Arts in Worcester, had previously been scheduled for Marc as part of the Center’s Access Hanover speakers’ series. The Kreisau Project centers on a pair of plays Marc wrote and produced dealing with both German and Polish resistance against the Nazis. The plays, “A Journey to Kreisau” and “Karski,” were presented in several U.S. cities as well as in Germany and Poland. Emmy Award winning and Oscar nominated producer, director, cameraman, and editor, Slawomir Grunberg is creating a documentary film about Jan Karski, a hero of the Polish underground who acted as a courier during World War II, carrying his reports of the atrocities he witnessed to Britain and the U.S.
Grunberg asked Marc to serve as one of eight humanities advisors on this film. Among other members of this advisory panel are: Prof. Wladyslaw Bartoszewski, Polish writer and historian who was a colleague of Jan Karski’s, a former political prisoner at Auschwitz, and former Polish Minister of Foreign Affairs; Michael Berenbaum, professor of Jewish Studies at American Jewish University and, from 1988-1993, Project Director of the U.S. Holocaust Memorial Museum in Washington, D.C., overseeing its creation; and Sir Martin Gilbert, who is the official biographer of Winston Churchill, and has published six volumes of the Churchill biography, as well as histories of the first and second World Wars, histories of Israel and of the Holocaust. The film, Jan Karski & The Lords of Humanity, will employ animation techniques such as rotoscoping intertwined with archival footage including authentic voice-over of Karski as well as modern-day documentary scenes and interviews. 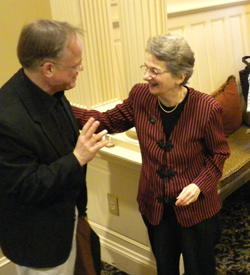 The first central Massachusetts screening of Boston College professor Rachel Freudenburg’s documentary, Freya!, was presented on May 22, 2011 at the Hibernian Cultural Centre, Worcester. Dr. Freudenburg was on hand, both to introduce the film and to conduct a question/answer session following the screening. Marc Smith had worked with Rachel during the several years of the making of this documentary, consulting on various aspects of the project. On January 23, Marc was a participant in a Tribute to Freya von Moltke, held at the Goethe Institut-Boston. 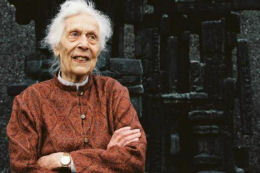 Freya died on New Year’s Day 2010 at the age of 98 in her home in Vermont. At the center of this tribute event was the premier showing of a new documentary film about Freya, made by Boston College professor Rachel Freudenburg. Marc was a speaker at that event, presenting his personal perspective on his friendship with Freya. © 2003-2016 Marc P Smith & Susan L Smith. All rights reserved.